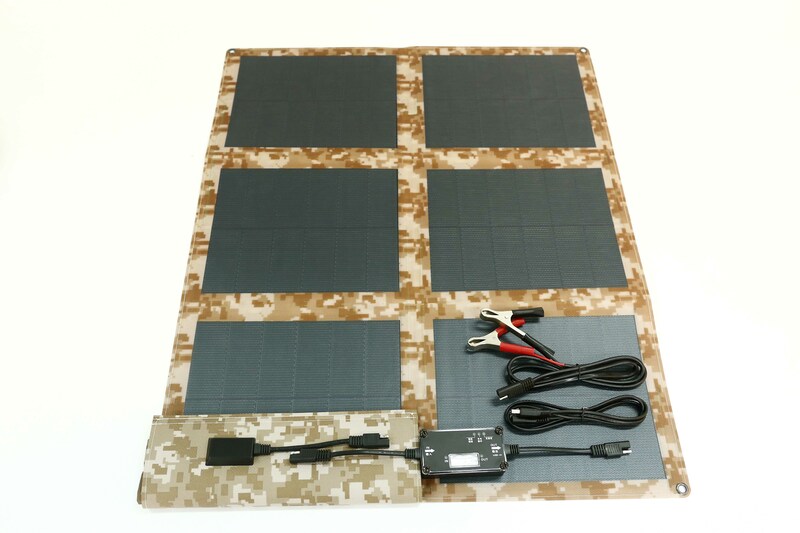 The SolarRide™ transportation solution is comprised of solar modules and a charge controller that ensures you receive the maximum benefit from your solar investment. Reduce Maintenance Costs. Running the truck engine less results in decreased intervals for scheduled maintenance. Provide Stand-by Power. Use solar energy for standby power without running the engine. The MiaSolé cell is produced by depositing the CIGS film on a thin stainless steel sheet. The sheet is then cut into cell form, covered with the Ultrawire interconnect, and tested. The result is the most unique cell architecture in the industry. 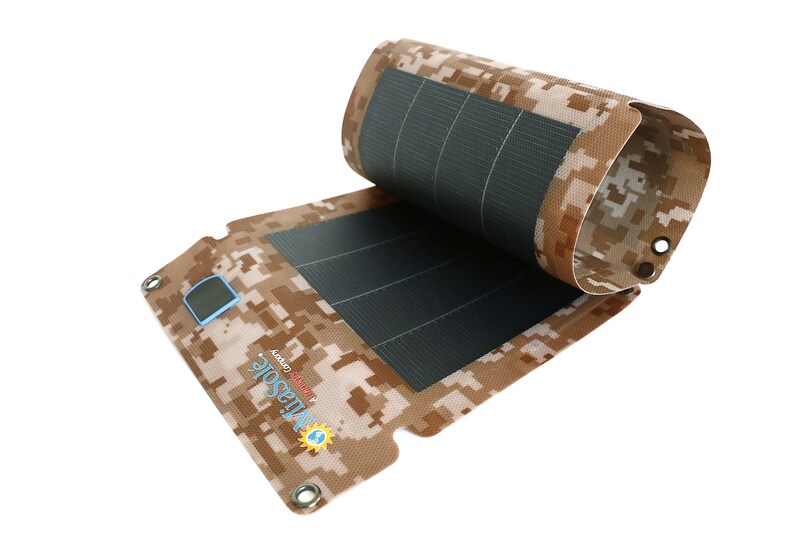 Not only is it the highest efficiency thin film cell, it is lightweight, flexible, low cost, and the shape can be modified to fit any form factor. 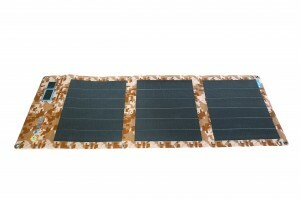 These characteristics enable a number of product applications that standard silicon panels cannot offer. The FLEX Series module is a CIGS based flexible thin-film PV module that provides high power density for many types of roof applications. The panels are the highest efficiency, flexible, thin-film product on the market today, with >16% cell efficiency. FLEX-N modules are ideal for standing seam metal roofs, and they bond to the roof surface with a simple peel-and-stick adhesive. This adhesive approach eliminates the need for racking and reduces labor and logistics cost to provide a 20% lower BOS cost than traditional glass solar systems. The FLEX Series module is IEC 61646 & IEC 61730 and UL 1703 certified and is available in three lengths. An aesthetically pleasing solar solution, preserving the original look of the metal roof by blending into the space between the seams. The FLEX-M Series module bonds to the roof surface with a simple peel-and-stick adhesive. This adhesive approach eliminates the need for racking and reduces labor and logistics cost to provide a 20% lower BOS cost than traditional glass solar systems. The FLEX Series module is IEC 61646 & IEC 61730, UL 1703 and Class A over TPO: Slope 2.5:12 certified. An aesthetically pleasing solar solution, blending into membrane roofs. The FLEX-W Series module bonds to the roof surface with a simple peel-and-stick adhesive. This adhesive approach eliminates the need for racking and reduces labor and logistics cost to provide a 20% lower BOS cost than traditional glass solar systems. The FLEX Series module is IEC 61646 & IEC 61730, UL 1703 and Class A over TPO: Slope 2.5:12 certified. The FLEX Series module is a CIGS based flexible thin-film PV module that provides high power density for many types of applications. 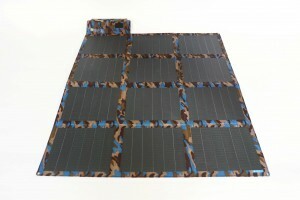 The panels are the highest efficiency, flexible, thin-film product on the market today, with >16% cell efficiency. The FLEX Series module bonds to surfaces with a simple peel-and-stick adhesive. This adhesive approach provides significant benefits such as superior wind resistance, a seamless low-profile look and eliminating the need for racking or penetrations into the surface. The FLEX Series module is IEC 61646 & IEC 61730, UL 1703 and Class A over TPO: Slope 2.5:12 certified. The modules also have an enhanced uniform dark color scheme throughout obtained through specially engineered material upgrades. Charge Controller Compatibility Compatible with most battery charge controllers for standard 12v, 24v, 36v and 48v battery charging applications. Transportation: truck, RV, van, car, boat, etc. The MiaSolé consumer charger uses the powerful and lightweight MiaSolé solar cell to produce a charger that weighs less than silicon chargers, performs better in low light, and is shatterproof.